Berkeley Assets, the multi-asset private equity firm with investments in real estate, hospitality, logistics and technology has appointed a new team of capital raising associates to bring all marketing and direct client servicing in-house. 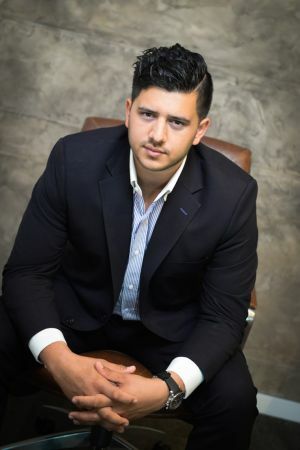 The initial seven-strong team of young former independent financial advisors and experienced professionals from the financial advisory world all come with strong track records of delivering excellent services to their clients and will now work solely as part of the Middle East team raising capital from the retail market. A second team focusing on the Far East is due to follow in 2019. Led by Senior Associate Justin Quan, the team will focus on bringing assets under management (AUM) on board for Berkeley Assets and raising capital for Cryptech World, a Berkeley Assets technology organisation, which was acquired by the private equity firm in July 2018 and has become overwhelmingly popular with investors keen to explore Blockchain and cryptocurrencies. Mike Clark, Partner at Berkeley Assets, said: “Bringing all capital raising in-house is an important step in the development of the firms retail capital division and means we retain complete control over the messaging and the way we communicate with our clients. When you are working with a combination of institutional investors, HNWIs and the retail market, it’s vital that each client receives a consistent level of service. 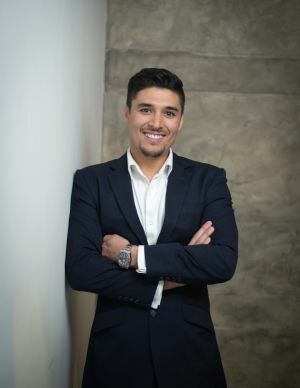 “We have built a reputation of successful returns and smart investments, by consistently offering clients reliability and credibility, and now we have a dynamic team of financial experts who live and breathe the Berkeley Assets portfolio and understand exactly how to maximise investment opportunities to deliver the best ROI,” said Omar Jackson, Partner at Berkeley Assets. Justin Quan(photo caption) added: “We have seen the IFA industry in the Middle East decline in recent years due to a lack of strong, reputable advisors, but now we are able to cherry pick a team of exceptional individuals who come with thorough background checks, clean reputations and strong client bases. It offers us a greater sense of control to grow our retail market exponentially and reach more clients who want to be involved but so far haven’t had access”. One of the key areas of focus for the team is that of Blockchain technology and its implications in finance and investment. Cryptech World invests in ideas and start-ups that are utilising Blockchain as well as actively trades the top four cryptocurrencies in the world, Bitcoin, Ethereum, Ripple and Litecoin, utilising a two-pronged strategy to deliver consistent gains across cryptocurrencies and blockchain. The company’s experts offer in-depth knowledge of Blockchain technology and its uses, allowing them to identify leaders and opportunities in the market, and provide intuitive due diligence for cryptocurrencies by recognising trends and spikes in demand. Cryptech World offers clients a minimum investment option of USD$1,000/GBP1,000 which can be completed digitally in multiple currencies, allowing funds to be traded within and invested from the company’s corporate account. This paves the way for investors with a range of understanding on Blockchain to gain a foothold and benefit from early stages of cryptocurrencies and the underlying technology, a right that has previously been mainly accessible to financial institutions and HNWIs only. After 12 months, clients can request to redeem their capital back with the maximum returns the team generated. Omar Jackson, Partner at Berkeley Assets who heads up Cryptech World, added: “We strongly believe that Blockchain offers the biggest opportunity in technology since the internet boom of the 1990s and like the internet, the technology is difficult to explain in simple terms but the potential applications are so wide and far reaching that they cannot be ignored.